Every time Friday 13th rolls around people start to freak out and get scared that an array of horrors are going to befall them. It’s been ingrained into our culture that Friday 13th is such an unlucky day that really, the day has got a pretty bad reputation. And this has been reinforced by popular culture; being depicted in television shows and horror films as a terrible day. But is Friday 13th really so bad? Nobody really knows where the fear of Friday 13th comes from. However, there are multiple suggestions of its origin. One claim is that Adam was tempted by Eve with the apple on a Friday. Other biblical origin theories include the notion that the Flood and the subsequent Noah’s Ark happened on a Friday, as did the death of Jesus Christ. There’s also the idea that 13 is unlucky because there were 13 disciples at the Last Supper. One of the strongest contenders for the origin of unlucky Friday 13th is when The Knights Templar were killed on Friday October 13th, 1307. 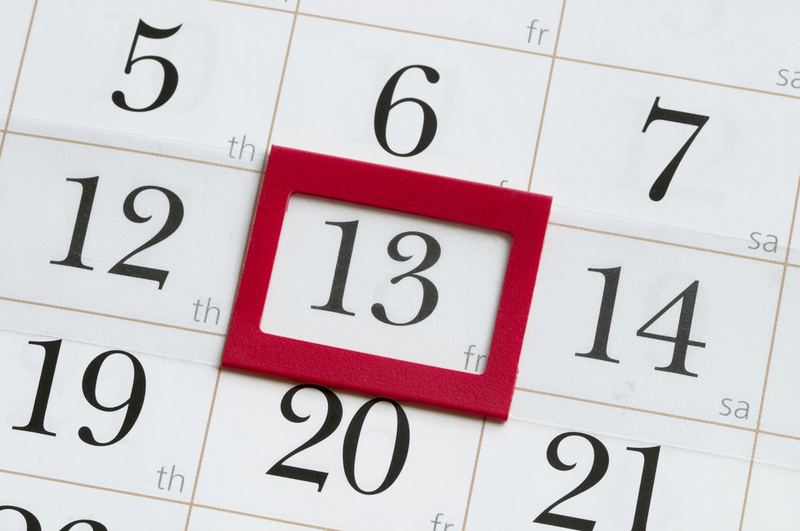 Because of the superstition surrounding Friday 13th many people have developed an actual fear of the number 13. This is known as triskaidekaphobia. It can manifest itself in numerous ways. People avoid sitting in seat 13 on planes, they shy away from staying in hotel rooms with the number 13 and they dislike having 13 of anything. There’s no getting away from the fact that bad things have happened on Friday 13th. However, many believe that this is due to the self-fulfilling prophecy of the day. Because people expect and believe terrible things to happen on the day, they alter their behaviour and inadvertently cause bad things to happen to themselves. If you don’t believe bad things will happen – they probably won’t! Friday 13th doesn’t have to be an unlucky day – in fact it can be quite the opposite. Use its energy in your spiritual rituals and you’ll see good things coming your way!